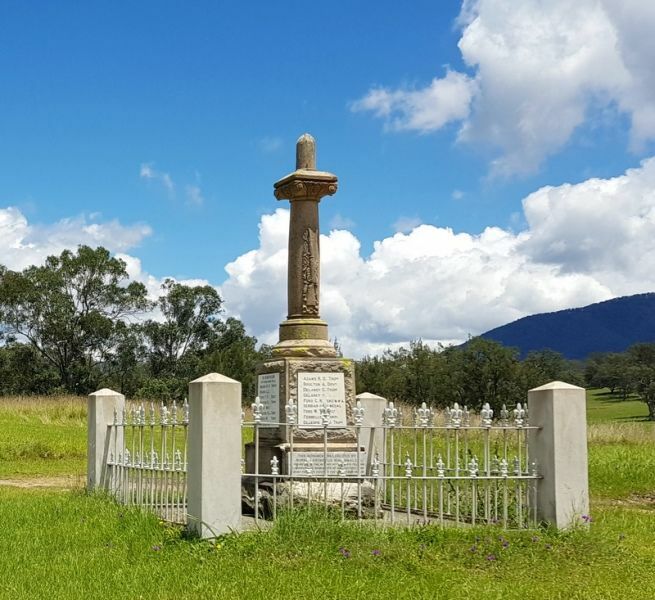 The memorial was erected by Mr. Norman Archibald Macdonald in memory of those who served in World War One. It was unveiled on the same day as the Newton Boyd Memorial Hall which no longer exists. Note: The town of Newton Boyd no longer exists. 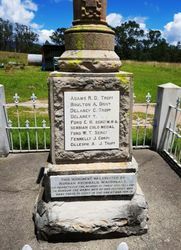 On Thursday, his Excellency, the Governor of New South Wales, Sir Dudley de Chair, formally opened the Newton Boyd Memorial Hall and unveiled the memorial column erected by Mr. N. A. MacDonald, of Broadmeadows Station, in honor of the district soldiers. The occasion was marked by a sports meeting and a dance in the hall at night. For a mere handful of people, Newton Boyd has set a pace that much larger neighbouring centres will find it very difficult to follow. 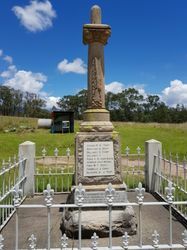 After an inspection of the hall, His Excellency, at the request of Mr. N. A. MacDonald, unveiled the memorial column, the gathering standing with bowed heads during the ceremony. Mr. N. A. MacDonald explained to his Excellency that he was too old to go to the war, and he thought the next thing he could do was to raise a column in honor of those who went. His Excellency said that similar columns were being raised in all parts of the British Empire. It was a grand idea, and would serve to remind future generations of what sacrifices had been made for them by the men who fought in the great war. 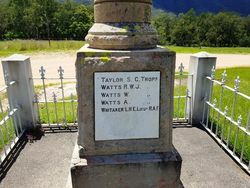 He realised that the call had been readily answered by the men of Newton Boyd, several of whom had been called upon to make the supreme sacrifice. Cheers were then given for His Excellency, and as His Excellency motored off, the community's sentiments were conveyed by Mr. J. Mc Donald, in the following declared- "Better loo'ed ye canna be." 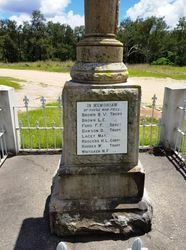 The memorial column, erected on, Mr. N. A. MacDonald's property, adjacent to the Henry River Bridge, and in close proximity to the memorial hall, is of Australian marble. 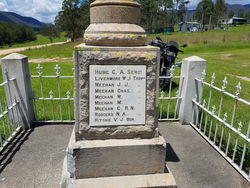 All expense in connection with the memorial was borne by Mr. MacDonald, whose original attention was to have Aberdeen granite, but he found it imposible to obtain it. 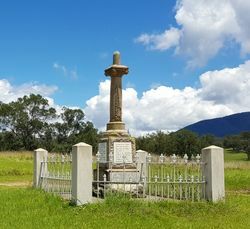 No expense has been spared to make the column worthy of its object, and as the years pass the memory of the Newton Boyd heroes will be perpetuated, not only in the minds of the local community, but also in the minds of those who travel the Grafton road. Excerpt from Glen Innes Examiner (NSW), 22 September 1924. To perpetuate the memory of those who fell, and to honour the brave men of our district, who went forth to fight in the Great War 1914-1919. In memoriam of those who fell.